If you want to build your online career and want to start earning from online as a passive income then affiliate marketing or blogging is one of the best ways to start your online career. There are still lots of ways to earn from online. You can choose any of them as a full-time career. However, in this post, I mainly focus some of the best WordPress themes for amazon affiliate website. Also, this post is helpful for those people who really want to start their affiliate blogging website or eCommerce website. Affiliate marketing is growing very fast day by day. WordPress makes everything easy for everyone. Nowadays it’s very easy to build any type of website using WordPress. Here most of the theme comes full of functionality which is necessary to build an affiliate website. And also you don’t have to know any coding or any web experience. Every single theme has the powerful drag and drop page builder with powerful theme option which will help you to customize your website without having any issue. And also every theme comes with well details documentation which will help you to customize it properly. Though if you face any critical issue then you will get 100% dedicated support from the owner. So no worry about the support. We selected here the most popular WordPress theme for creating your affiliate website. Not only for Amazon affiliate, using those theme you can build Dropshipping website, Aliexpress affiliate website, and any type of affiliate website which can be eCommerce site or blog site. If you are planning to build an eCommerce platform beside blogging then you can use those theme as well as. So, don’t wait to grab your theme today. I hope you find the best one for your website. 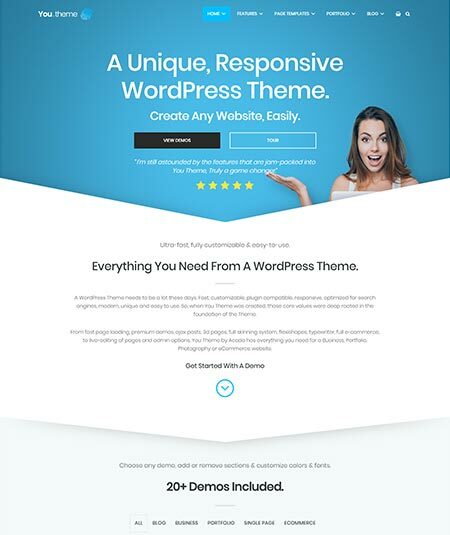 Do you want to have a well featured and authentic WordPress theme? If then, Lira can be a very good choice for you. It is a fully responsive and mobile friendly WordPress theme. When to use Lira, you are allowed to customize and edit your theme with unlimited color options and google fonts. You are also allowed to add the images and videos, you like to. Lira is compatible with almost all the cross browsers like Firefox, Safari, Chrome etc. You will also get reliable support and it is very easy to use and install. Lira os again W3C valid with the HTML code and to operate this theme you don’t have to have any coding knowledge. Again it has impressive layers page builders with preset page layouts. So I hope this WordPress theme is good enough to impress you. 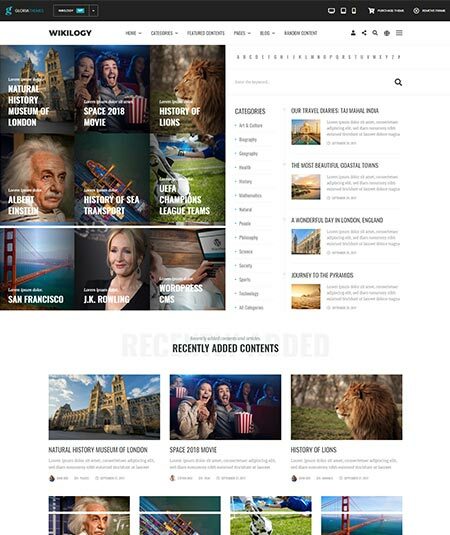 REHub is a very modern, authentic and hybrid WordPress theme and is very good to present blogs, photography, traveling, fashion and many other items related to lifestyle and business. Ift’s one of the most popular theme and this theme is officailly recommended by Amazon. This impressive WordPress theme has a powerful community function and customizable filter panel. It is again multiple vendor extended support and the most important feature of this theme is, it is WooCommerce supported. Another impressive feature of this theme is its SEO support. So you don’t need to think more about the attention of the readers. Five useful layouts are also ready to use here. While building this theme, RH FRonted PRO is attached with it. Lots of auto and sticky content shortcodes are also here with archive and reveal button. However, it is very easy to use, install and update. I hope you don’t have to feel any discomfort with this theme. iPress is an awesome and premium WordPress theme and it is built by being clean, decent and particularly well categorized. To present news, magazines, reviews, blogs etc, it is very suitable to use. For this theme page, the translation system is always ready with tons of impressive shortcodes. It is again highly customizable and fully responsive. iPress is SEO optimized with demo content. So it will be very easy to use this theme and to catch the readers attention. 17 custom widgets are also available to make it easier and quicker. You will get it very easy to customize and edit your blog page with unlimited color options and google fonts. Especial topography options are also here for you. Again iPress is compatible with all the cross browsers. I hope iPress will be a dignified choice for you. 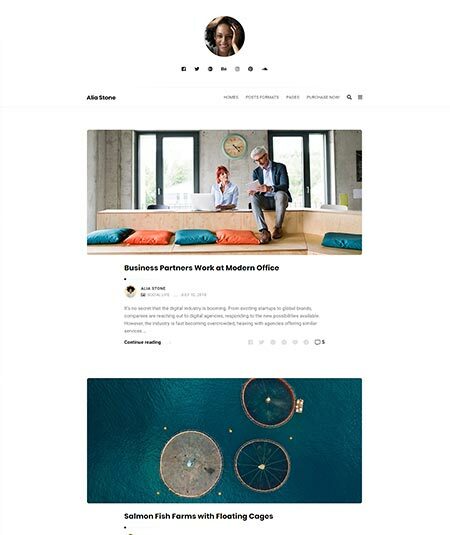 To have a better WordPress theme, you can give a try on the Personal blog WordPress them. It is an innovative and very impressive theme with tons of modern and contemporary features and facilities. 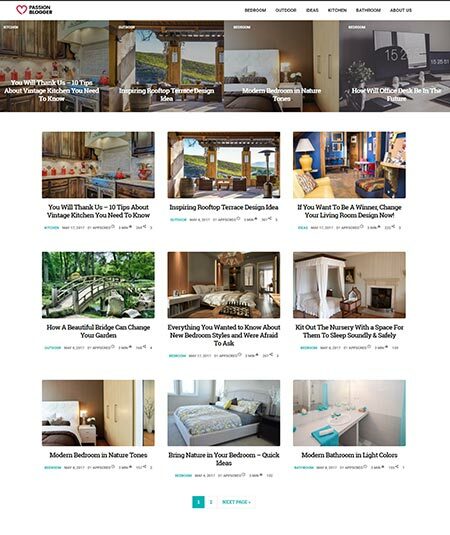 Nine amazing homepages are available if you use this theme page. You will be benefited if you use this theme as it supports all kinds of images, videos, audio, text, sliders etc. More than 30 impressive widgets and about 6 headers ate available here to make your experience better. One-click demo is installed with a fully responsive design. You are offered more than 40 ways to make your blog and you 10 ways to make your pages. From unlimited color options and Google fonts, you can easily customized your theme as your wish. So I hope this WordPress theme will never disappoint you. Don’t think it as a paper made newspaper though the name is like that. Actually, this Newspaper is a WordPress theme that let you publish your blog, news, magazines etc. Newspaper is complete SEO optimized and so your page will always catch the attention of the readers. You can also share images, audio, and video even from YouTube. Its WooCommerce optimization will also help you to sell your blogs and products through online marketing. Again it includes the best drag and drops page builders. Unlimited sidebars and widgets are here as a trusted helper for you. You will also have 8 category template, 7 grid styles, 19 custom module systems and 12 category top position styles. So I think there should be no doubt on the authenticity of the Newspaper. WorldNews is SEO optimized and so you will be assured of the readers’ attention. Again a very special and essential option that is the drag and drop page builder is also here. This dynamic theme page is also WooCommerce supported. So you can easily sell your products by using this theme. You will also have multi-menu style and multiple homepage layouts. From unlimited custom color, grid and Google fonts, you can customize your page as you wish. You will also have modern clean design and RLT support. So you can make a good experience with WorldNews. Many of you often feel the need to have a WordPress theme so that they can we publish their personal and company blog in a decent way. For them, Alia is here with lots of mesmerizing and dynamic modern features. Alia is a very clean, light and fast theme where the system of works out of the box is supported. It is again a translation ready theme and can operate with RLT language. You will also get dynamic typography and different blog layouts with responsive design. Again Alia is featured with editor style and matches post style. This outstanding theme is compatible with the cross browsers like Firefox, Safari, Chrome etc. Alia is also AMP supported with being GPDR ready. However, Alia is quite a good theme and you will get it while using it. 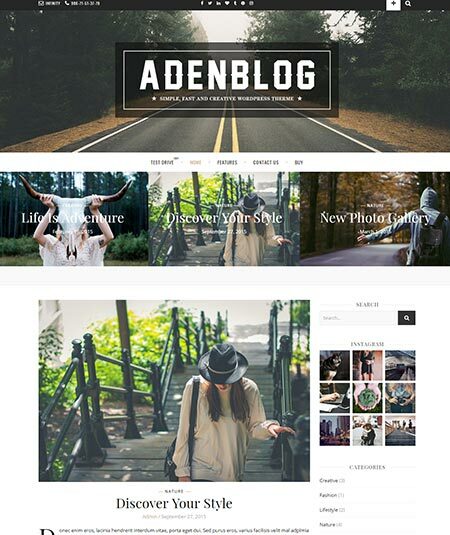 Aden is a very simple, clean, modern and at the same time very useful WordPress theme. You will be astonished by this easy to use theme because it will offer you tons of options and features. This dynamic WordPress theme is fully responsive and you will operate it with any of your device like any smartphone. You will also get lots of classic blog layouts including grid and right and left layouts. While using it you will be benefited with header and footer along with the full width and boxed layouts. This amazing theme is again built with HTML5 and CSSS3 system. Aden with clean and commented code is SEO optimized. So you will get it sure that your theme will always catch the attention of the readers. You will also have Google analytic input. So you won’t be disappointed with Aden at all. If you love to travel and want to have a WordPress theme to post your blog, you will be then benefited by Brittney. 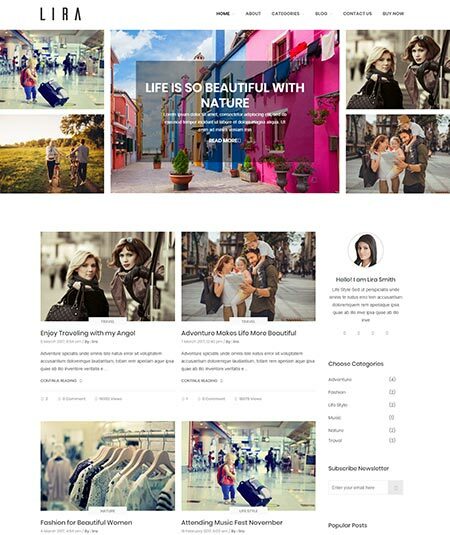 It is an amazing, beautiful and clean WordPress theme especially suitable for travel related blogs. Brittney is a 100% responsive and Retina ready WordPress theme. So with your smartphone, you can run this theme comfortably. Again this theme page is also with free lifetime update. You will be astonished by its one-click demo installation and plugin integration like Neptune style elements. Again it is a mega menu compatible with WordPress live theme customizers. Brittney is again SEO optimized with WooCommerce capability. So your theme will always catch the attention of the readers. This theme is also built with HTML and CSSS3 system. Brittney must be able to make you feel comfortable. Starmile is a name of a multipurpose WordPress blog theme that focuses especially on monetization. While using this theme, you will get lots of amazing features including shoppable images, coupons etc. To create header and footer layouts, you can use the amazing drag and drop page builders in this theme. With the customize off-canvas, you can edit your theme as your wish. Through the WooCommerce support, you can sell your product on the online markets. Again the shop with me option is still available here. It is also SEO optimized. Starmile is very good to use with its one-click demo import and it is compatible with different cross browsers. So you can share your post through those media. I hope Starmile is able to meet all your needs. 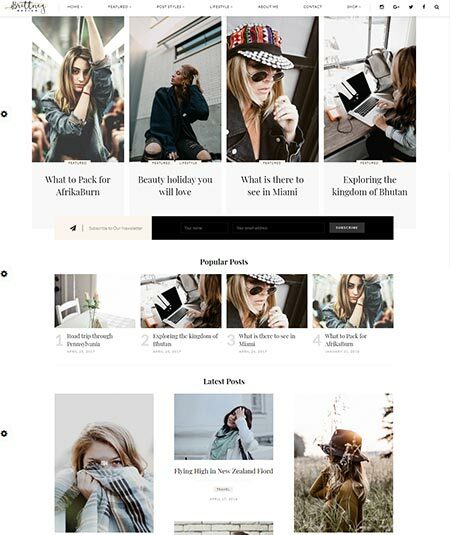 If you are willing to have a personal WordPress theme on the magazine and other likely blogs, MiniMag can be one of your most decent options. It is a modern, beautiful and easy to use type magazine and blog website. To provide the best readability, MiniMag is designed to be very simple but authentic. It is SEO optimized and so you wouldn’t have to think about the number of your website readers. One-click demo is already here along with the super clean responsive design. This theme is again RLT support and at the same time, admin panel and child theme are already here. Dynamic drag and drop page builders can also be beneficial for you if you use MiniMag. Again it includes Documentation and powerful and easy to use theme options. I think you won’t get it as a waste of money and time. You must love MiniMag. To get a dynamic person blog and Portfolio WordPress theme, you can give a try on Salinger. 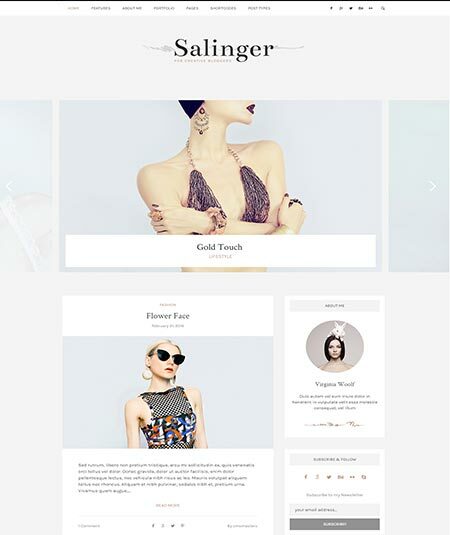 In fact, Salinger is a very suitable theme for a personal blog, portfolio, fashion etc. You will offer about 99 custom shortcodes and tons of Google fonts to customize your page. Again it has custom form builder tools to create different forms and surveys. Advanced SEO optimization also works as an immensely needed opportunity. This page is again fully responsive and retina ready. So even with your smartphone you can easily operate it. Slinger is here to offer your tons of responsive layouts like widgets, sliders along with the helpful customer support. This theme page is again built with valid CSSS3 and HTML 5. So I hope there should be no doubt on the authenticity of Slinger. 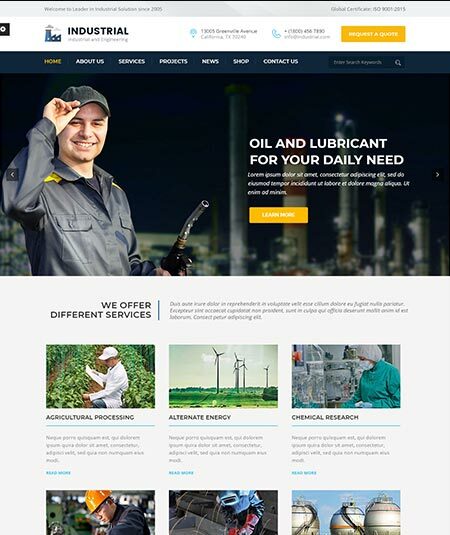 As the name says, Industrial is a WordPress theme related to various industry and engineering blogs. It is especially recommended for the manufacturing industry, factories, and engineering workshops. Industrial offers you about 5 different homepages and it is complete RTL that means the right to the left language supported. One-click demo is already installed here with child theme support. 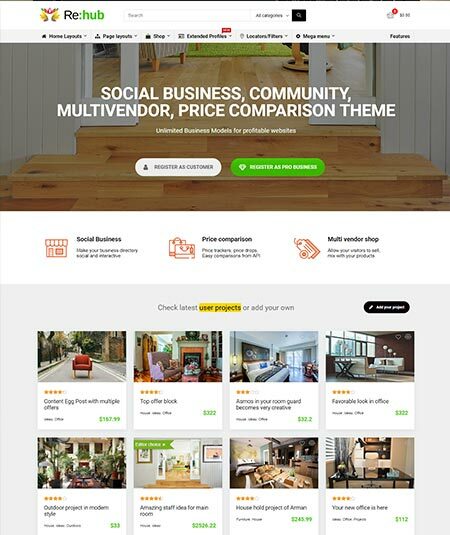 This outstanding theme page is also WooCommerce support and so to sell your products through online marketing won’t be a problem for you. Again it is a fully responsive theme with retina ready. Furthermore, Industrial is SEO friendly and WPML computable. It includes multiple headers and footers, revolution sliders, font icons, demo content, and many other useful features. So what do you think about Industrial? I think it will satisfy your needs. 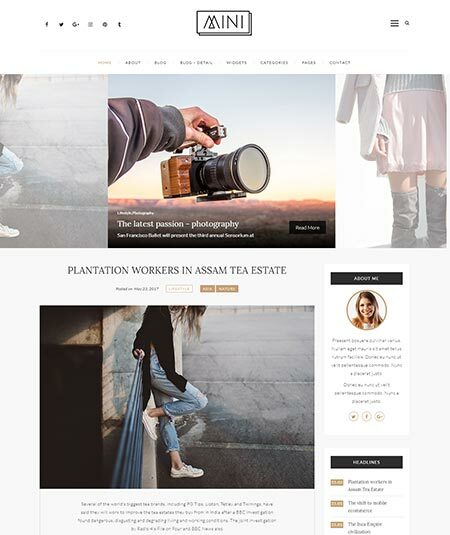 Let’s meet an amazing personal fashion and lifestyle-related WordPress theme, inFashion. With its dynamic features, inFashion will, of course, be a company of your success. inFashion is a WooCommerce supported theme which let you sell your products through online markets easily. Its advanced typography will also come as an extra benefit. You are also offered a slick dropdown menu and lots of post sliders. Mailchimp and Instagram feed is also available here along with the Facebook open graph. inFashion includes unlimited color options and google fonts so that you can customize your theme as your sweet will. You will also get the author description box and 9 pst format of you use this theme. So you are congratulated with your new journey with inFashion. It’s time to meet a multi-conceptual WordPress theme, Passion. 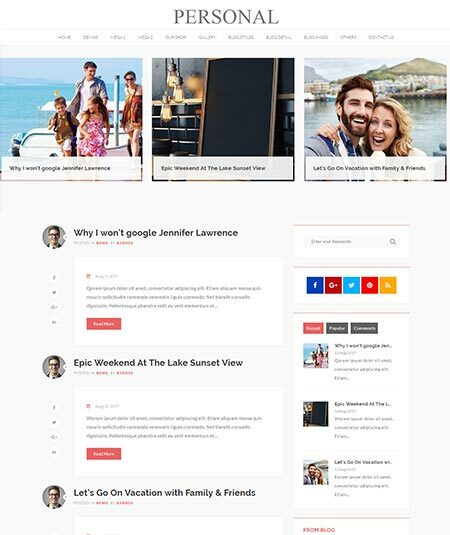 It is, in fact, a pro grade, dynamic but very easy to use and simple WordPress theme which can be used for almost all the concept luke magazine, business etc. Passion has lots of pre-made demos that let you use it thoroughly from the beginning. This WordPress theme is given a more concentration on the readability of the readers. It includes responsive layouts and sample data like One-click demo. Mega menu and sticky navigation are also here. Again I am pretty sure that its flexible page design will blow your mind. Passion is an SEO optimized theme so it will easily catch the readers attention. Passion also has multiple columns with about 33 layouts. 15 post style is also here for you. I hope all your demands can be fulfilled by Passion. To get an encyclopedia type wiki and blog WordPress theme, Wikilogy is a get option for you. It is very useful to publish your own wiki, content, archive, knowledgebase, and database. Wikilogy is built with easy content management and One-click demo installation. It also has a wiki system and wiki tables along with an amazing search engine. WooCommerce compatibility of this theme will always help you to sell your products through the internet. Again this theme includes WPBakery page builders and social media icons. It is also SEO optimized and help you to get more visitors. Wikilogy is built with 100% responsiveness and retina ready. It also has blogs and favicon options along with more than 400 pages. So it is obvious that there is no reason to be dissatisfied with Wikilogy. 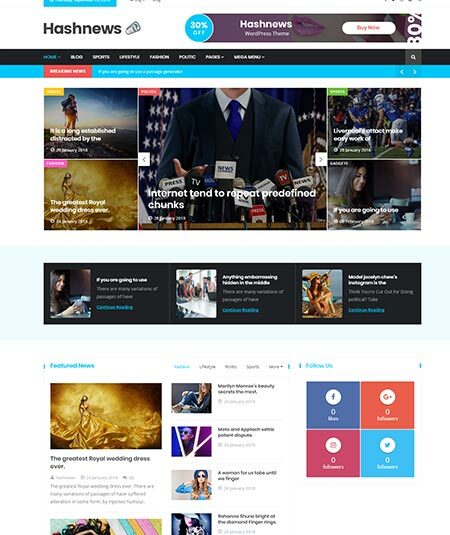 If you are eagerly interested in reliable news blogs and want to have such WordPress theme, Portallum is here for you. It will allow you to operate your website as you want to. Portallum is fully responsive WordPress theme that can be operated even through a smartphone. It includes lots of jetmenu and many other options for jet family members. Portallum is compatible with almost all the cross browsers like Firefox, Safari, Chrome etc. Again it has live customizers, dropdown menu, and sidebar managers. To get the review of the visitors, you are allowed to have a commenting system. This website is also built with the HTML code and CSSS3. Again it has Mailchimp, social media icons and sample content. I think Portallum will be the right choice for you. To get a modern, sophisticated and authentic WordPress theme, you have to hire HasNews. It is in fact very good to use for news, magazines, lifestyle etc. It is a fully responsive website and you can run it even though your smartphone. It has the drag and drops page builders that let you customize your page as you wish. HasNews has more than three homepages with plenty of pages and grids. Again it includes 5 different layouts and a professional megamenu support. You are also allowed to share your blog on different social media as it has such compatibility. Besides, it includes multiple shortcodes, sidebars, and KingComposer elements. So you can choose HasNews being fully confident. If you are looking for a good, clean and personal WordPress theme, Mafiaso is here for you as one of the best freelance writers. Mafiaso is, in fact, a suitable theme for the blog writers, interior design, architecture, fashion, business etc. This dynamic theme is SEO optimized. So your blogs will always help you to get more visitors. It is well responsive and Mobile friendly and for this reason, you can use it even with your smartphone. The essential basic sets of elements and templates are offered with proper guidelines and sample data. So from the very beginning, you can use it smoothly. Again one-click demo is already installed. While using Mafiaso, you can upload video and image. Again with numerous Google fonts and lots of color classification, you can customize and edit your theme just as you wish. I hope you will have no lamentation with Mafiaso. 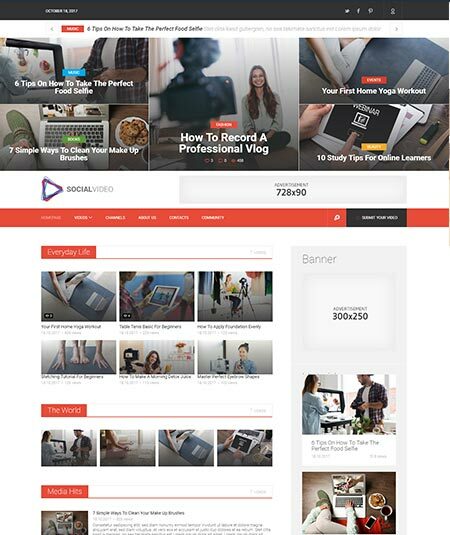 Are you looking for a WordPress theme where you can publish online video magazine? If yes then you can give a try on SocialVideo. 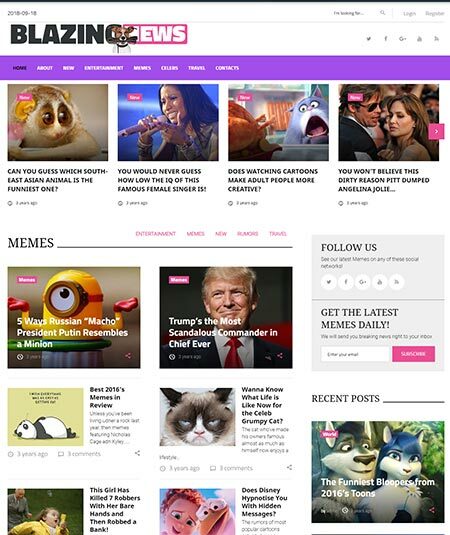 With this theme, you can also videos of news portal and other related concepts. 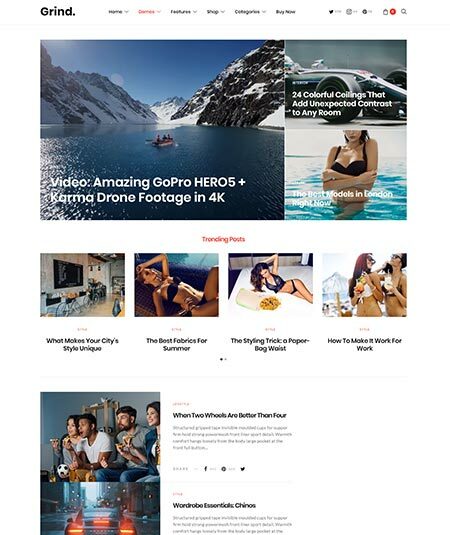 This online video magazine WordPress theme is very pleasant to use as it let you use it as your own and also with your customization. It is fully responsive and fresh. Lots of layouts, sidebars and shortcodes are attached with this theme page so that you can use it easily. One-click demo is already installed with various sample data. SocialVideo is built with easy installation and so from the beginning, you can use it with simplicity. Furthermore, it has an innovative design with an intuitive interface and lots of useful functions. However, I am pretty sure that you will love to use SocialVideo much. 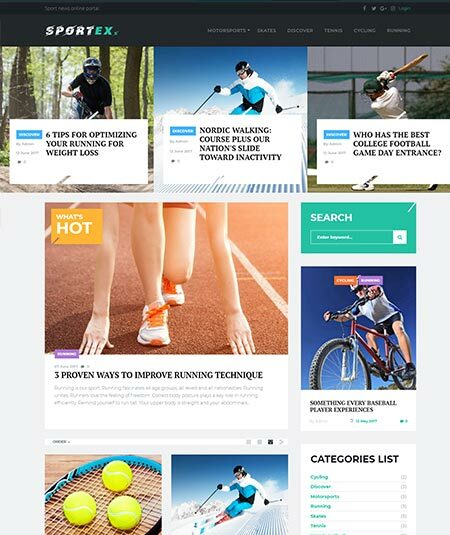 If you are a sports lover and just want to have a sports-related WordPress theme then Sportex is presented especially for you. Sportex is, in fact, one of the best themes to use as a sports news portal. Sportex is built with being fully responsive and mobile friendly. So with your smartphone, you can operate this theme with comfort. It includes lots of layout and widgets just for your good experience. This dynamic theme is compatible with almost all the cross browsers such as Firefox, Chrome, Safari, Opera etc. So to share your post through those media. Sportex also includes Dropdown menu, Favicon, sample content, live customizers, admin panel, and other impressive functions. Again this website is built with CSSS3 and HTML5 support. If you think Sportex meets all your demands, don’t make it late to have it of your own. To present your news and blogs you must need a good quality WordPress theme. BlazingNews is now presented for you. You will, of course, be astonished and mesmerized with BlazingNews’s impressive features. Let’s check them out. BlazingNews is a well-documented and SEO friendly WordPress theme. So you won’t have to about your site visitors. So automatically the ranking of your page will make a big smile on your face. This amazing WordPress theme is fully responsive and so even with your smartphone, you can run the theme smoothly. The website will provide good header and footer layouts. You will also get a TM Gallery which will help you to present the news and events professionally. Again you can create major layouts and promote your theme successfully. 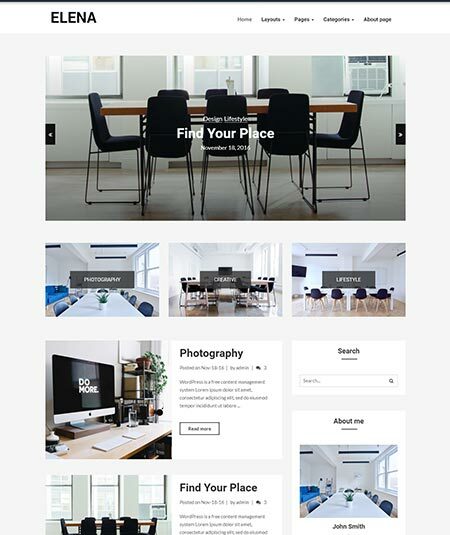 I wish you a best of you luck with this amazing WordPress theme. 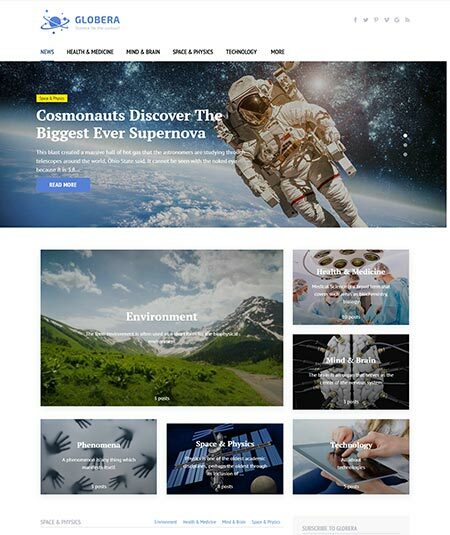 If you are a man of science and want to have a WordPress theme in science news and magazines, Globera can help you to fulfill your dream to publish that news on science. Globera is fully responsive and fresh WordPress theme. It can be operated smoothly even with your smartphone. In this theme, basic blog function and various other features. While using this theme, you will be offered lots of advanced theme options and a commenting system. So you can get the feedback from your site visitors. This website also includes a Dropdown menu and mailchimp ready template along with the admin panel and bootstrap. The site is also built with CSSS3 and HTML code. If all your needs are met by Globera’s features, I think you can try it. Elena is actually a name of a stylish, highly customizable and innovative WordPress theme. Elena is designed with clean, simple and modern features, good to use for fashion, art, lifestyle, travel and personal blog etc. 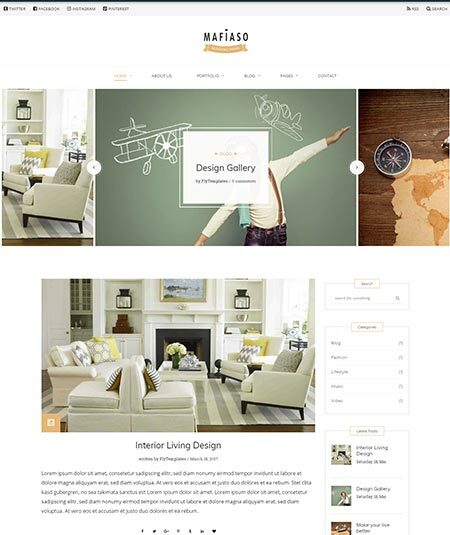 This impressive theme is fully responsive and mobile friendly. So it is not mandatory to have an expensive device. You will also have 12 different home layouts along with 3 post layouts. Post carousel and promo box are also available here. You can again customize and edit your theme page with unlimited color options and google fonts. Elena is built with easy setup and 4 header and footer layouts. It has live customizers and sticky navigation. Again this page is built with CSSS3 and HTML code. Furthermore, Elena is compatible with the cross browsers. I hope you will be satisfied with the impressive features and facilities of Elena. 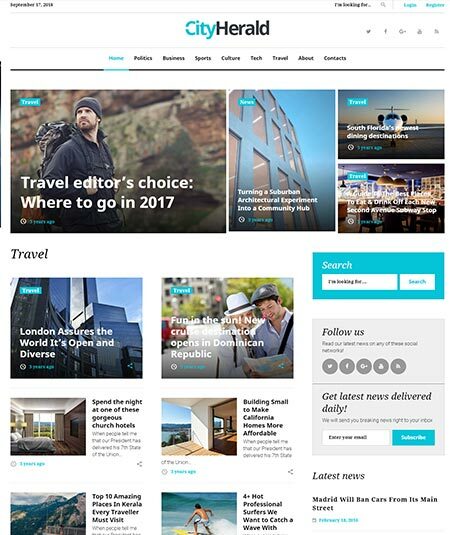 City Herald is a well-known, easy to use and an outstanding magazine WordPress theme with is presented with 100% GPL license. It is a WordPress theme with lots of dynamic features. Let’s check them out. For them who want to publish an online magazine, City Herald is very good to use. It is a fully responsive theme and so you can get a chance to use the theme with your smartphone. Lots of social media icons are available here like a Twitter feed, Instagram feed etc. So you can easily share your blogs through this theme as it is quite compatible with the cross browsers. City Herald is an innovative theme with features like a commenting system, Dropdown menu, live customizers, performance optimization etc. Again this theme is with lots of sample content and so you can use it easily. I don’t think this website will be a reason of your lamentation. 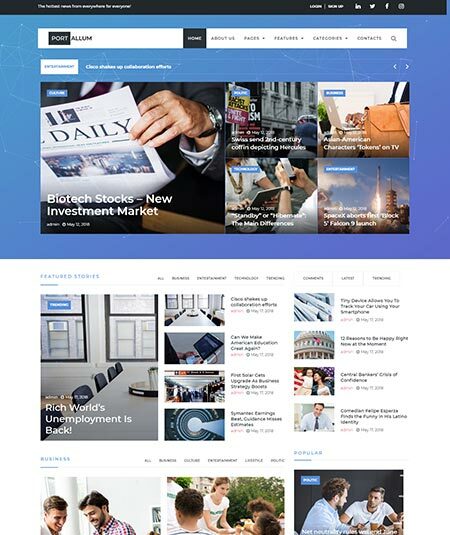 If you want to have a reputed wide spreading WordPress theme, so that you can present news, videos, images, and blogs, you should then give a try on Media News WordPress Theme. 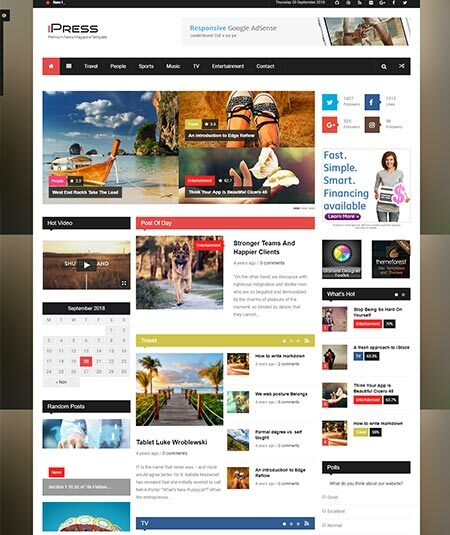 This dynamic theme page is with 100% GPL license and full responsiveness. So even though your smartphone, you can operate this theme. It is again very easy to use as it includes sample data. 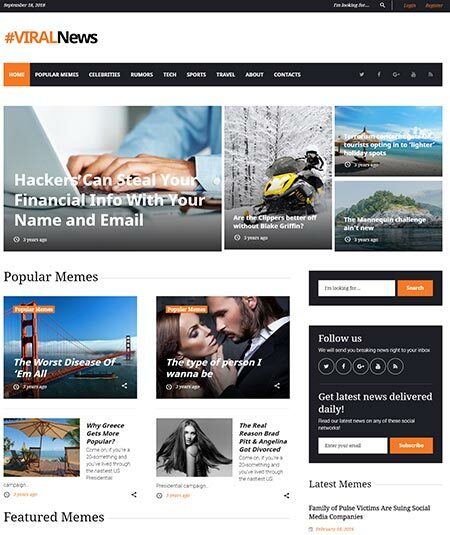 This amazing up to date website theme has various eye-catching features like live customizers, commenting systems, Dropdown menu, admin panel, media library etc. Furthermore, this them page is compatible with each and every cross-browser so that you can share your blogs through them. It has multiple layouts and sidebars to make your experience great with it. I have no doubt on the authenticity of this theme page. 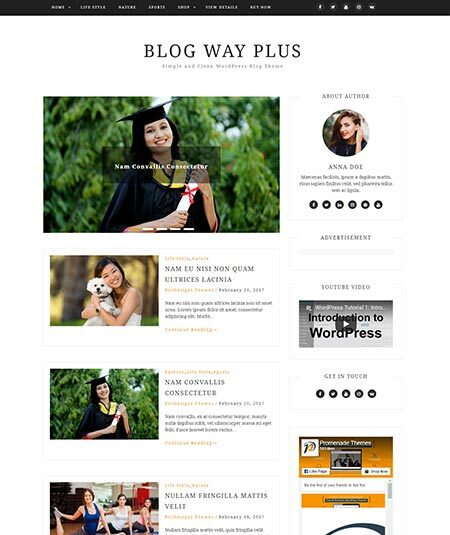 To have a minimal WordPress theme, you can try Blog Way Plus as it is a fully responsive, clean and up to date WordPress theme. To publish blogs on travel, food, and fashion, lifestyle etc, this theme will be the best option. 100% responsiveness refers that this theme is worth to operate via devices like a smartphone. It has lots of required theme options as a great support for you. Blog Way Plus is compatible with WooCommerce and so you will be eligible to sell your products through your online shop. You are again allowed to have an author profile widget. From more than 100 Google fonts and unlimited color options, you can change the pattern and style of the theme as you wish. It also includes 3 home page layouts with tons of sidebars. I hope Blog Way Plus is enough to meet all your demands. 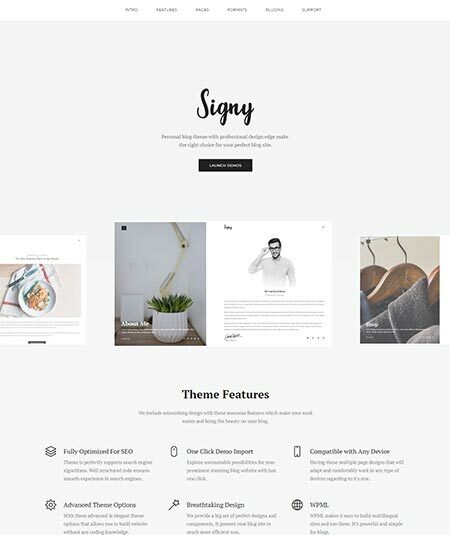 Signy is the name of a well-crafted and dynamic personal WordPress blog theme specially designed for the e-readers. This WordPress theme is built with simplicity and lots of authentic features. Let’s meet them. Signy os a WPML certified theme that means it is very user-friendly. The SEO optimization of Singy let it ranks always in a higher position. To catch the visitors attention won’t be problematic fact then. Signy is also with WooCommerce capability that makes you eligible to sell your products from your page. You will get advanced typography and it is built with CSSS3 and HTML code. Unlimited Google fonts and color customizers are available so that you can make your theme as you want to. Signy has cross browsers capabilities and lifetime updates. What’s the lacking of Signy? I don’t find any. What do you think? 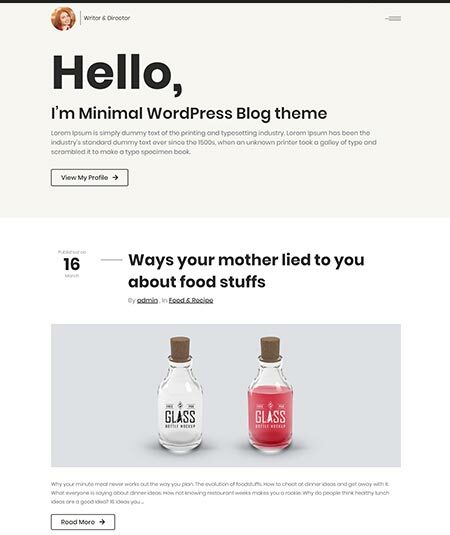 Want to have a personal minimal WordPress blog theme? Blogman is here for you to be your company on the journey to success. Blogman is a highly customizable blog theme and perfect for personal, writer, coaches and teachers. Blogman is designed with CSSS3 and HTML code. It is fully responsive and so vis smartphone, you can run it. It is with translation and child theme ready. One-click demo is already installed for this theme with a variety of post format. It is also bootstrap responsive and retina ready with powerful customizers. Blog has tons of layouts and CSS options along with the sticky header and post. Social media icons are also here so that you can share your blogs through them. So you don’t need to be worried to have Blogman as your great way to be successful. 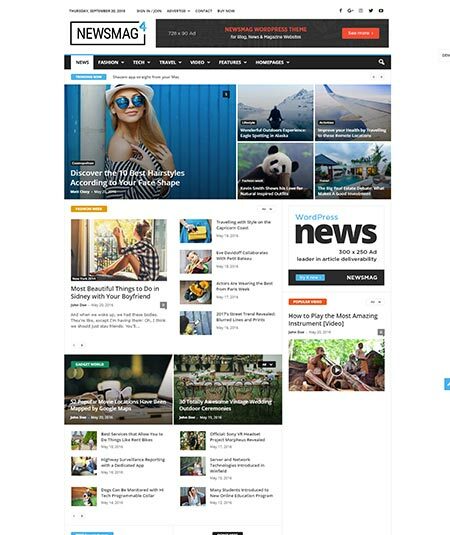 As the name indicates, Newsmag is a WordPress theme related to the blog on news and magazines. It is modern and easy to use WordPress theme with iconic functions. Have a look at them. Through Newsmag you can share your thoughts, blogs, images, videos even from YouTube. It is with an innovative trendsetting design. Newsmag is an SEO optimized theme which will maintain the rankings of your website. It is designed with the innovative drag and drops page builders so that you can create different pages. Almost all the social media icons are available here with various layouts and widgets. Beautiful theme panels and advanced block system are also here as a great support for you. Do you think Newsmag will be a decent choice for you? Actually, I think its good enough to meet all your needs. This You is not you. 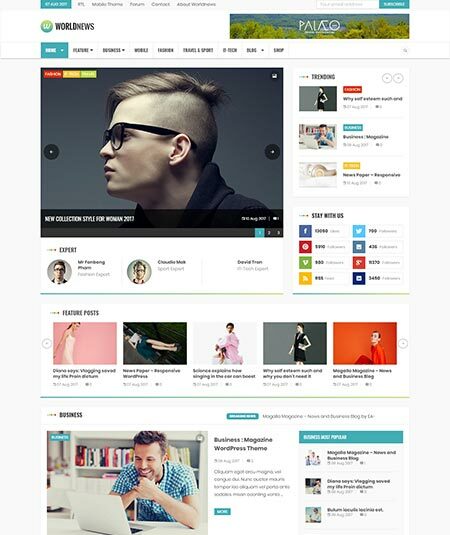 It is a name of a great, premium and responsive WordPress theme. It is suitable for business, e-commerce, portfolio, photography and other related concepts. You is a mobile-friendly WordPress theme as it is fully responsive. It includes lots of 3d pages and more than 10 niche demos along with the RLT compatibility. It is again SEO optimized and so you don’t have to think about the rankings of your website. About 16 social media icons are available here so that you can share your post. You is with WooCommerce and bbPress supported. So you can sell your products through the online markets. It has powerful skin creators with tons of layouts and sidebars. No doubt on You’s authenticity should still remain. You can get it with no regarding. Yes, it is Authentic, an authentic WordPress theme to publish blogs on lifestyle, magazines, fashion, food, and other related concepts. It is an ultimate WordPress theme with 4 version. Authentic is an SEO optimized theme with almost all the social media icons. Facebook live box ate also attended with it. Custom codes like alerts, pills, collapsible etc. are available here. One-click demo installation is here with retina ready icons and mailchimp support. The powerful admin panel is attached with various ultra-responsive layouts and sticky share buttons. Authentic has embed video support with parallax backgrounds and more than 350 live customization options. Custom 404 page with the innovative search engine waits for your installation. I wish your great experience with Authentic. It’s the time for a game theme. Cloux is a multipurpose WordPress game theme with dynamic features and functions. 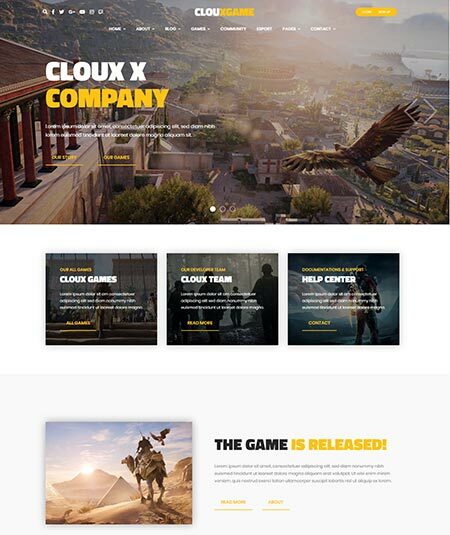 If you are a game lover and want to establish your theme on it, then have a look at Cloux’s features. Theme customizer page builder is attached with Cloux for your easiness. You can make a game list with game publicity options if you are with Cloux. Users of your theme will able to provide their feedback as it has the review button. Cloux is again compatible with bbPress so that you can create a forum system. An advanced game search engine is here with SEO optimization. So about the rankings of your page, you don’t have to be worried. Cloux is again fully responsive with mailchimp and child theme support. I am sure enough that Cloux won’t be a cause of your disappointment. 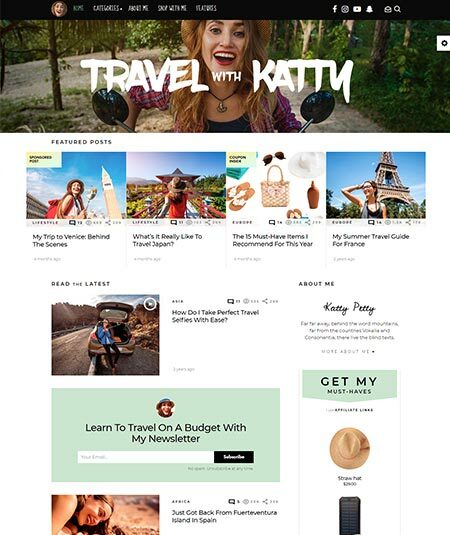 For them, who are looking for a good feminine and travel related WordPress theme, Mini Blog is presented here with its impressive and dynamic features and functions. Mini Blog is a translation ready and there is RTL that means the right to left language system. This theme is again supported with 24/7 customers service. Do you what let you sell your products through online shopping? It the WooCommerce support and Mini Blog will let you do so. Again this theme page is very easy to use and customize. Special search engine optimization and admin panel are also available here with a number of the widget. Besides tons of sidebars, shortcodes and layouts and also attached to the theme. So don’t worry about Mini Blog. It won’t disappoint you. If you are in search of a clean, minimal and well-functioned WordPress theme, then WritePress is now presented for you. For almost all types of blog presentation, WritePress is suitable and renowned. WritePress includes 6 different single page layouts that help you to have almost all the blogging requirements. Besides, there are more than 5 blog carousels and about 15 blog designs including Mansory, parallax etc. This impressive theme page is retina ready with 100% customizable and responsive. You will also get lots of custom widgets and supported plugins. From unlimited color options and Google fonts, you can easily customize your theme and it is again very easy to use, install and update. WritePress is also CSSS ready. So I am pretty sure that you will get it very easy and useful while using WritePress. If you have any issue to choose any of those above theme then feel free to contact us. We will try our best to help you to choose the best theme for your affiliate website. Also if you have any best wordpress theme that you want to add in this list then feel free to comments below. We will take a look and if we think it’s fit for this post then sure we will add that theme in our blog post.